I am delighted to offer another guest post contributed in response to my recent call for contributions to the blog by black women and other women of color. If you’d like to submit a post or an idea for a post for consideration, email me at gettenure@gmail.com. I pay $150 for accepted posts. The posts can be anonymous or not, as you prefer. I welcome content on #MakeupMonday (the initial impetus was a Twitter follower asking for #MakeupMonday posts oriented toward women of color) as well as anything related to the academic and post-academic career. 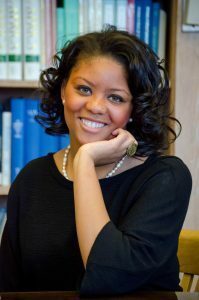 Today’s author is Dr. Jacinta R. Saffold. Dr. Saffold is a Mellon ACLS Public Fellow at the Association of American Colleges and Universities where she serves as the Associate Director for Diversity, Equity, and Student Success. She received her B.A. in African American Studies and Educational Studies from Emory University and her M.A. and Ph.D. in African American Studies from the University of Massachusetts Amherst. Her postdoctoral fellowship work focuses on building Truth, Racial Healing & Transformation campus centers with colleges and universities across the United States and is working on her manuscript, Books and Beats: The Cultural Kinship of Street Lit and Hip Hop. “Getting a PhD is a journey” and “You must trust the process” are two of the many mantras I heard in preparation for entering and during my first years of graduate school. While these intentionally vague declarations tend to be universally true, they do not account for the personal nature that journeys to the PhD take on nor that your trust must also be placed in yourself to make the best decisions possible. I am a Mellon ACLS Public Fellow working at the Association of American Colleges and Universities with a PhD in African American Studies. My path here has been quite a circuitous path of scholarly and extra-academic pursuits. For each time I chose to focus on alt-ac endeavors, my mentors from academe heavily cautioned and at times, flat out demanded that I did not. In my third year of graduate school, I defended my dissertation prospectus, packed up, moved my whole life 300 miles, and started a new full time job in the span of three days. Aside from my amazing dissertation director who empowered me to trust my vision for my work and life, my decision to leave residence was met with dizzying statistics about failure to complete outside of home departments. I was given pessimistic advice to stay focused on the degree and not get distracted from an actual livable wage or job security. My decision to leave was two-fold. One, I was miserable. I loved my program but hated living in a cold, rural, place. Two, my research needed a change of pace. My scholarly focus is on African American urban fiction and I was living in a remote, white college town. Within the first month of leaving residence, I was able to connect with one of the main authors my dissertation interrogated who had been ignoring my interview requests for YEARS. I was finally in the right place at the right time to attend one of his book readings. Seeing how he was willing to stay an additional three hours to answer all my questions and even provide me with his direct contact information for following-up affirmed my decision to leave amidst the overwhelming doubt I was letting seep in. Knowing when it is better for you to leave than to stay is one of the biggest lessons I learned on my journey to the PhD. And trusting myself enough to stand in my decision showed the naysayers, but more importantly—me, that I was strong enough to get the degree on my own terms. Now, that is not to say that being academically homeless was without challenge. Once my basic needs were meet—shelter, food, a life outside of my dissertation—I set about anchoring myself to academic spaces. I was on a mission to curate my own graduate school structure. I went to the nearest research universities and asked them to add me to the graduate student listservs for English, African American Studies, and any other field related to my work. I wanted to ensure that I was informed about all potential resources and could attend relevant events that would inform my thinking as a scholar. Next, I put myself on a research and writing timeline. It was unrealistic to set daily writing goals due to the unpredictable nature of college admission and recruitment. And at that point my day job took precedence over writing because… well… bills. But, I could reasonably commit to weekly completion targets. I was a relentless self-advocate. I unabashedly asked questions about free or low-cost resources. I needed to know how to access university and public resources as a visitor. I came to know and deeply appreciate that many of the research-intensive universities with sizable endowments allow independent scholars to pay for access to their physical and digital repositories. They also may let allow unaffiliated persons to access their 24-hour libraries and other study spaces on campus. I took pride in searching for the best local coffee and tea shops with fast wifi and plentiful outlets. Just being in a space where other people were getting work done with thoughts and words helped my brain cooperate with my fingers and keyboard. The best thing I did in my first year out of residence was to split the time outside of my 9 to 5 between my dissertation and applying for completion fellowships. I felt myself coming undone at the pace I had to maintain to work full time and stay on track for on-time degree completion. As fate would have it, I was awarded a Woodrow Wilson dissertation completion grant—untethered money that allowed me to write without “distractions.” I couldn’t have been more ecstatic and relieved. But the grant meant that I would remain academically homeless for the rest of graduate school. I wouldn’t get opportunities to gain additional teaching experience, work on an article under a senior scholar, or get hands on support for the academic job market. It also meant that I would have to believe in myself enough to walk away from a stable paycheck (that allowed me to get an extra side of guacamole with no hesitation) for the small hope of landing a job after graduation. 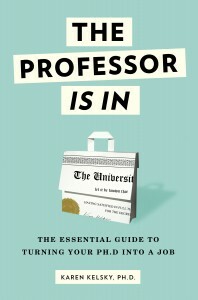 Knowing these things and the precariousness of the academic job market, I began seeking out non-academic teaching and mentorship opportunities that would translate well on my CV or guide me towards a career of my choosing. I asked for virtual support from my home institution on writing an article for a peer review journal. I took advantage of the job market resources offered at national conferences in my field and I got in my car and drove the 300 miles back to my program when too many of my emails and phone calls went unanswered. I figured out what I could do on my own, where I needed support, and I was relentless in my pursuit of both. In the end, I had such pride in knowing that I defined my journey. I knew the best thing I did was refusing to accept the choice between circumstances that were slowly deteriorating my spirit or walking away from my dream of being a PhD. Leaving got me to the PhD. Knowing when it was time to leave got me to self-empowerment.